To early Hawaiians, surfing was more than catching and riding waves—it was a social activity and honored ritual. In ancient Hawai‘i, surfing began with the selection of a tree from which a board would be carved, and progressed to legendary surfing contests for the ali‘i (chiefs). 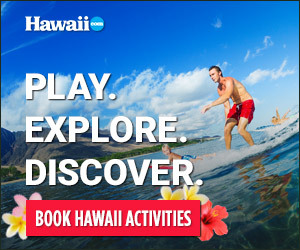 WAIKIKI BEACH SERVICES fosters the love of surfing and Waikiki with surf lessons, stand up paddle lessons and outrigger canoe rides at The Royal Hawaiian: A Luxury Collection Resort and The Sheraton Waikiki. 9 a.m., 12 p.m. and 3 p.m. with hotel pick-ups at several hotels across Honolulu. Another spot for new surfers is at WHITE PLAINS on the southwest side of O‘ahu. While professional surfing contests take place during the winter, you can still check out locals taking on North Shore waves throughout the year at spots along the “SEVEN MILE MIRACLE,” which stretches from Hale‘iwa to Sunset Beach. It contains many of the major surf spots on this big-wave coast, including Rocky Point, Banzai, Pipeline, Ehukai, Waimea Bay, Chun’s Reef, Laniakea and Sunset Beach. If surfing on the North Shore or elsewhere interests you, surf pros offer lessons all around the island when conditions are safe. Don’t try to tackle these spots solo.